Make plans to come out for the Durham Art Walk Holiday Market, a festive fine arts and crafts event that celebrates the holiday season in downtown Durham. The event is free and open to the public and will be held November 19, 10:00 am – 5:00 pm and November 20, 1:00-5:00 pm. 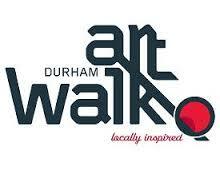 Visit http://durhamartwalk.com/ for full event details!